Once your website is built, it is important to get the word out to potential customers. This is where search engines optimization (SEO) comes in. It helps promote your website so it can earn a place in the top 10 Google listings, based on keywords customers use to search for the types of products and services you provide. If you have tried an SEO campaign on your website without a favorable return on your investment (ROI), contact us today. We will bring your current ROI to new heights. As a results-driven company, we only charge for results that we successfully deliver. To understand what Internet marketing success could look like for your business, contact our team of SEO specialists at (507) 581-9451. While some businesses view digital marketing as a promotional add-on, many have realized the benefits the Internet can bring to their business. With the dramatic increase in the number of mobile devices connecting to the Internet in the last few years, and the decrease in the prices of those devices, consumers are now connected online at all hours, on their smartphones, tablets, laptops and more. This trend puts consumers just clicks away from the information they want. As a business owner, it creates a promising sales potential for those who have a fully-operational website and are now available to their customers 24/7. Let’s take one example. If your business is an auto repair shop in Rochester, Minnesota, and your target customers are those who live within a 45-mile radius, imagine how your customers will find you. Today, most people will use an online Google search to find providers in their local area before they call or bring their vehicle in for repair. Consumers are taking advantage of the Internet to quickly find the information they need. This also helps them cut down on travel costs and wasted time. Consumers behave the same way when looking for other businesses as well: restaurants, coffee shops, hotels, realtors, home builders, you name it. Smartphones and free public Wi-Fi have people connected to the Internet almost everywhere they go. The consumers of today are used to instant access to information, and they expect every businesses and organization to have a good website. In fact, if customers can’t find your business online, to them, your business does not exist. Sad, but true, and that alone is a very good reason why you should establish a strong web presence for your business. In addition to the price comparisons and availability checks that drive consumers to Internet searches, social networks like Facebook, Twitter, LinkedIn, and others, have provided an easy-access channel for staying in touch. Naturally, the next generation of consumers will be even more web savvy than the current one. To establish a strong position in front of your customers of today and tomorrow, it is important that you invest in an effective website for your business. 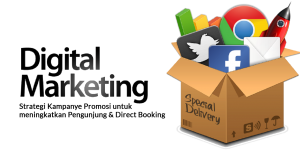 If you don’t know where to begin, contact our digital marketing company today and we can discuss a plan to prepare you for online marketing success.